Heat oven to 350°F. Lightly spray 13x9-inch (3-quart) ceramic or glass baking dish. 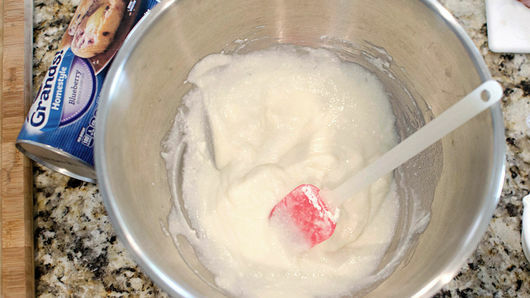 In large bowl, stir together 3/4 cup whole-milk ricotta cheese, 1/2 cup powdered sugar and 2 tablespoons milk; set aside. Separate 1 can (16.3 oz) Pillsbury™ Grands!™ Southern Homestyle refrigerated Buttermilk biscuits into 8 biscuits. 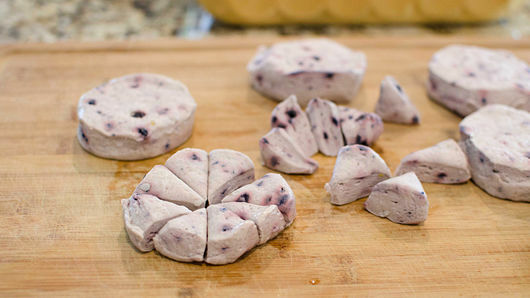 Cut each biscuit into 8 wedges. Place in bowl with cheese mixture; gently toss to coat. 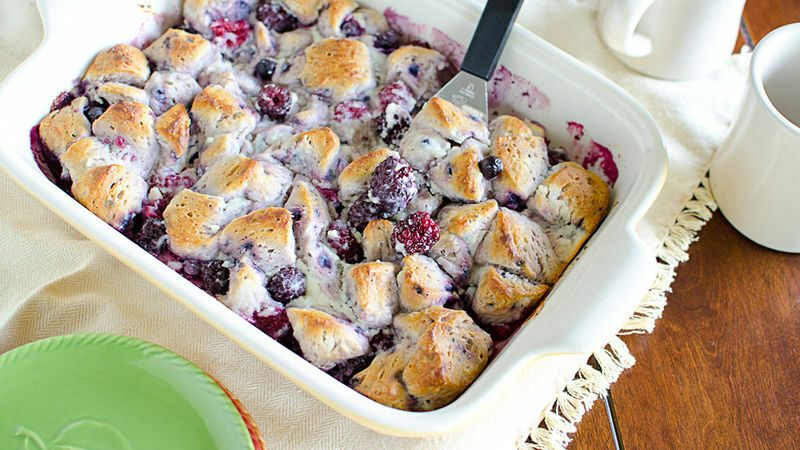 Fold in 2 cups mixed fresh berries. Pour into baking dish. Bake 30 minutes or until biscuit pieces are thoroughly baked. Serve immediately. Use more or less of the berries as you like!